Mc Coy, Horace: : Skålpell Gutes Buch! Lesebedingte Gebrauchsspuren vorhanden, aber noch ein gutes Exemplar. Zeitbedingt etwas nachgedunkelt. Kleine Einrisse im Schutzumschlag. MC COY, HORACE: ¿Acaso no matan a los caballos? Madrid, El Pais, 2004. 140 pp. Libro de bolsillo. 19 x 12 cm. ISBN: 8496246892 Buena condición. Horace: Odes and Epodes. Re-edited by A.Y. Campbell. University Press of Liverpool, 1953. 202 S. Cloth Good condition. Ex-Library. Spine damaged, mended by adhesive tape. Brownish paper. Stamped edges. Latin with English notes. 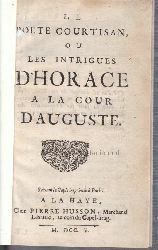 Horace Le poete courtisan ou les intrigues d'Horace a la cour d'Auguste.,Suivant la Copie imprimee a Paris. Paris: A la Haye, chez Pierre Husson. 1705 15 cm x 9 cm. 41 Seiten. Original-Leinen ohne SU SEHR GUTES EXEMPLAR. Très bon état. In französischer Sprache. Auf Anfrage per E-Mail können Sie die bei uns bestellten Artikel auch in unserer Buchscheune, 01796 Struppen (Mo.-Fr. 9-16 Uhr) oder im Antiquariat Schloss Pillnitz, 01326 Dresden (Mo.-So. 10-18 Uhr) abholen. 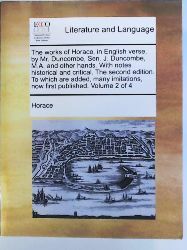 "Woodward Horace B." 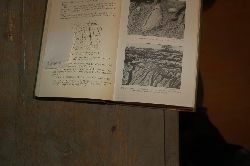 "The geology of soils and substrata" "Arnold Verl. London 1912 366 S., div. teils fotograf. 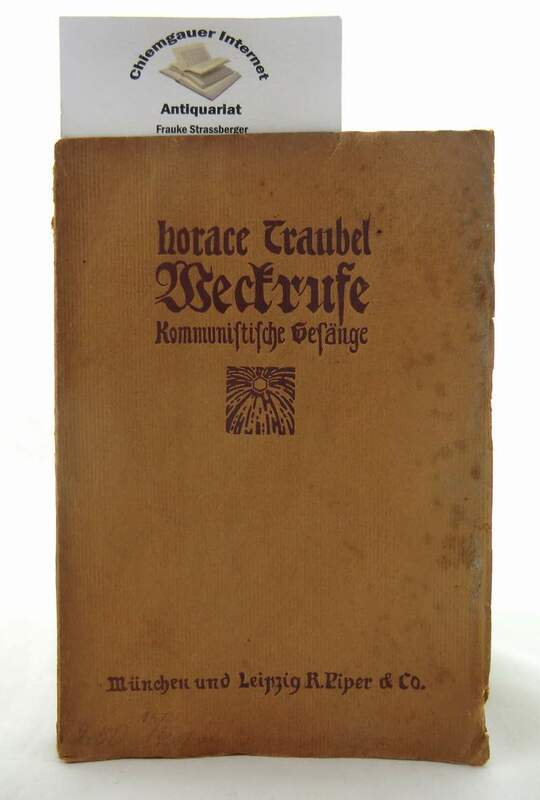 Abb.Antikbuch24-SchnellhilfeAbb. = Abbildung(en), Leinen, Stempel, sehr gut"
Richards, Horace G. Richards, Horace G. Studies on the Marine Pleistocene. Part 1: The Marine Pleistocene of the Americas and Europe. Part 2: The Marine Pleistocene Mollusks of Eastern North America. 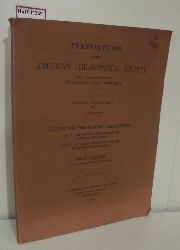 (=Transactions of the American Philosophical Society. New Series Vol. 52 Part 3). The American Philosophical Society Philadelphia 1962 Pappe Guter Zustand/ Good Ex-Library. In englischer Sprache/ English. 141 With ill. and plates. Backstrip with small tear. Ex-Library. In englischer Sprache/ English. Cover slightly creased. MacCoy, Horace: Skalpell : Arztroman / Horace McCoy. [Aus d. Amerikan. übers.]. Köln : Buch u. Zeit Verl.-Ges. 1979. 438 S. 8ºAntikbuch24-SchnellhilfeOktav = Höhe des Buchrücken 18,5-22,5 cm. OPpbd. ohne SU. Zustand: akzeptabel. Hayes, Horace M. Points of the horse, A treatise on the conformation, movements, breeds and evolution of the horse. London, Hurst & Blackett Ltd. 1952. Mit 666 Abbildungen. Oktav. 540 S. Orig.-Leinen. 6. Aufl. Gut erhalten. Bestell-Nr. : 7766 - gefunden im Sachgebiet: Zoologie.